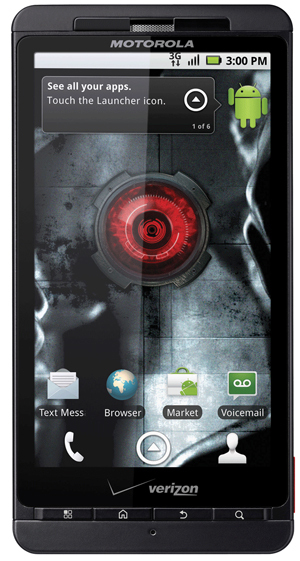 You have probably heard all the noise from the angry shouts in the Android Community concerning the newly released Droid X, and it’s super locked-down bootloader. Motorola has gotten a lot of flak because they have made it next to impossible to root the Droid X, which is something that a lot of people who are active in the Android Community want to do so they can try out different custom ROMs on the unit. There has been a rumor floating around that Motorola has so locked down this device, that it can sense when a non-native ROM is installed, and cause your phone to brick. The culprit of this supposed functionality? An IBM program called eFUSE, which allows the circuits of a device to be altered on demand, giving higher security to developers and manufacturers, and supposedly giving them power to brick as many handsets as they want. While not a popular response or stance, it is not fair to say that Motorola has been out to maliciously brick devices as retaliation for hacking up their ROM. As for an opinion on this development of the lockdown of the Droid X, I think it is a bad move on Motorola’s part, the Android platform and community brought them from the precipice and made them lucrative again. They have begun to make impressive handsets again, and they have done so on the coattails of Android. I think it is always a bad move to alienate your strong user base by denying them something that does no harm to your brand, but yet gives them a reason to own and use your handset for longer than the expected life span. Let’s hope they do not make this corporate policy for future handsets.